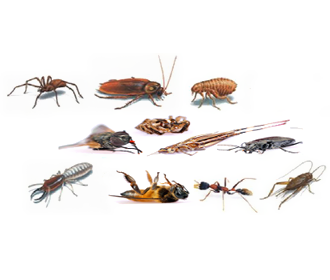 General Pest Control - This is recommended for homes/businesses that are faced with tons of pest issues. 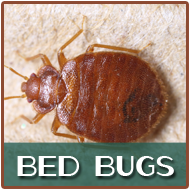 We do a thorough inspection of the area, identify all possible pest-related problems, and recommend the best solution/treatment. We customize these treatments to meet the needs of your business or home's specific construction type. 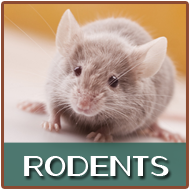 Rodent Control - Rodents do not only carry serious diseases but also a number of other pests/parasites such as ticks and fleas. 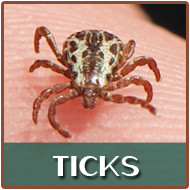 These are rapid breeders and highly adaptable creatures, making them difficult to exterminate. 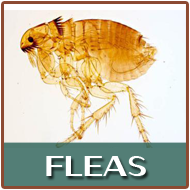 However, Forest Pest Control has the right solutions and experience to handle every rodent infestation problem. Bee Control - Although bees are not a major threat (except to those who are allergic to their sting), these can be troublesome when they swarm your home/business. 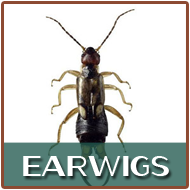 There are different control methods for bees, which are often mistaken as wasps (which also require different elimination processes). Such methods also require the right tools and strategy to effectively and safely remove the bees from your property. 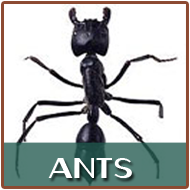 We are the pest control experts you need for this job. 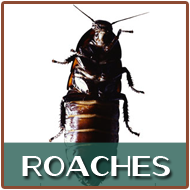 Others - With 18 years of experience under our name, we have come to develop several pest control solutions that deal with roaches, flies, bedbugs, ticks, fleas, and many more! 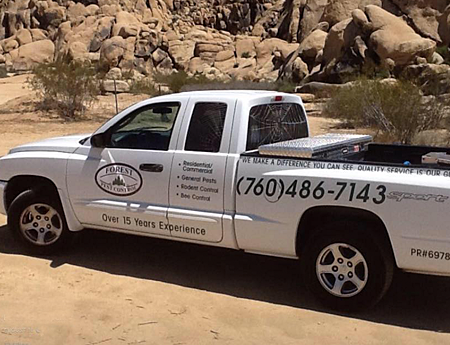 If you want to enjoy pest-free living in Apple Valley, Victorville, Hesperia and surrounding High Desert areas, give us a call. 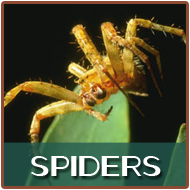 Forest Pest Control is your trusted and reliable partner.